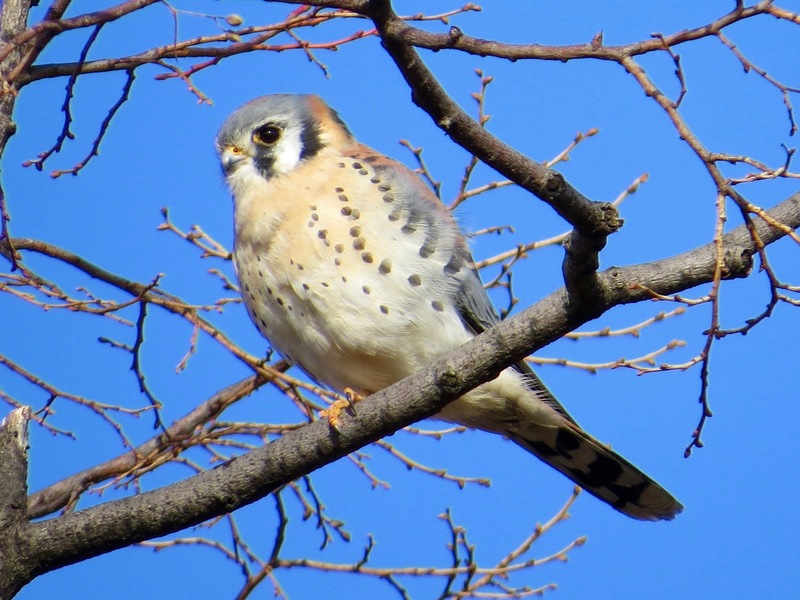 My first sight of this male American Kestrel (Falco sparverius) was a dark shape in a tree. The winter sun is getting so low on the horizon that even at 1:30 in the afternoon every bird with the sun behind it looks like a Starling. 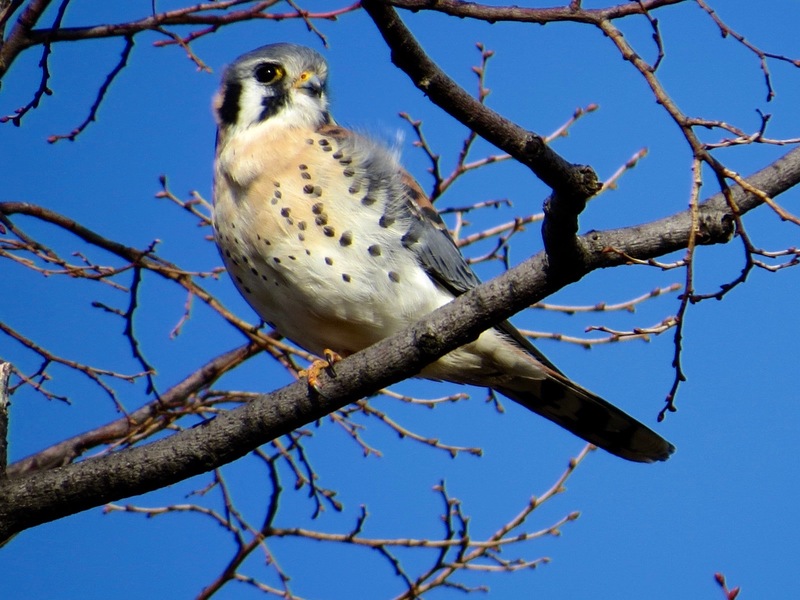 Him falcon was mighty obliging, though, allowing me to get in front of him and up the hill he was surveying. People on 5th Avenue had a much better eye-level view, or would have if any were looking. 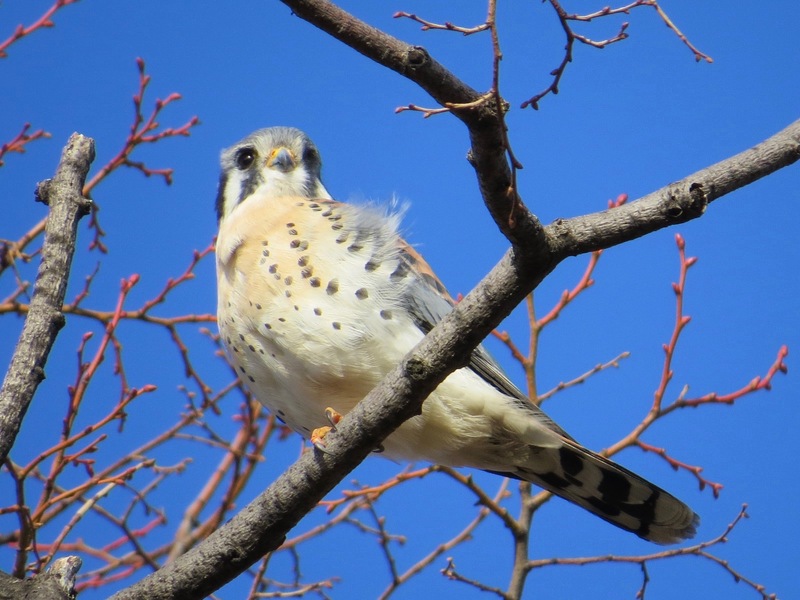 This was my second sighting of a Kestrel that day. 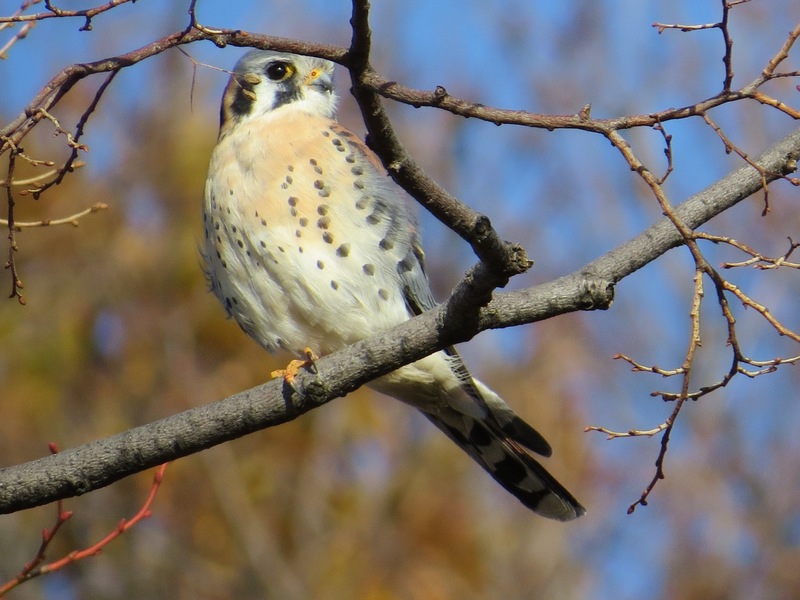 The first had been when I was following a Cooper’s hawk with my binoculars from our apartment. That earlier falcon was hovering in air over a nearby building. I think it was very much keeping an eye on the Coop. Blue wings are the main tell to separate the males from the females, who have wings the orange color of the back. 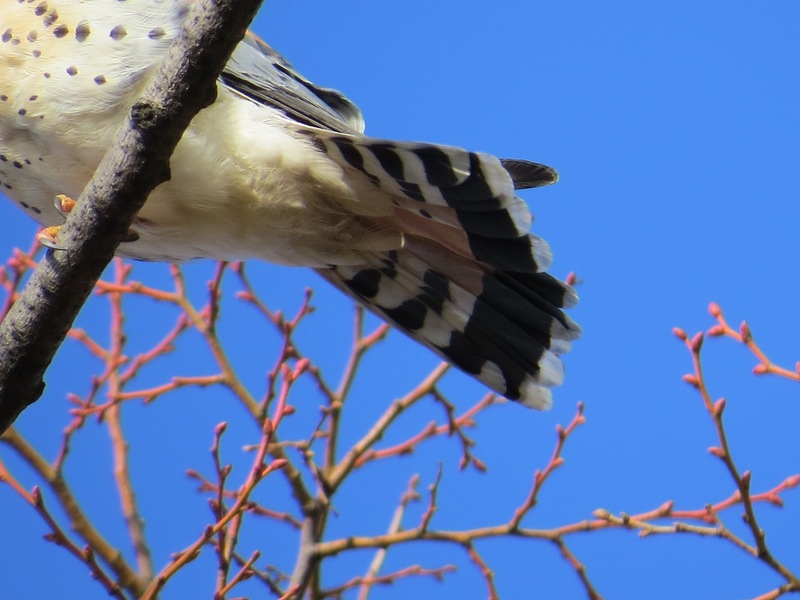 The broad black band near the tip of the fanned tail is distinctive for the male, too. But note in the first pictures how it’s hidden when the tail is tight. Awesome photos and great close-up of the tail. Really enjoyed these–thanks for sharing! Thank you! I returned the next day and the bird was in the same linden around the same time (!) and got even better shots because I was on 5th Avenue. Will share the next Raptor Wednesday most likely.